When I was around 5, I remember my favourite game was to play ball. We would all stand in a circle and then throw the ball towards one another and the person at whom the ball was to be thrown had to catch it. 23 years later I am not embarrassed to stay it still remains one of my favourite. In Reiki too we make a lot of energy balls also known as chi balls which we throw/release in the air after we set our intention in the balls, hence I thought we can combine my favourite healing modality and game together and come up with this healing method, which I call as Reiki Throw Ball. For this method of healing you need at least 2 healers, more the merrier. Below are the steps given by which one can make heal through the above method. Sit/stand in a circle, where all of you decide to which one common intention you want to give healing, for example: All of you decide to heal Mother Earth. One of you make the chi ball by giving a lot of healing energy and stating the intention and throw it towards another person and let them catch it between their palms. They will put more energy into the ball and then throw it towards someone else or if there are only 2 people then back to the first person. This method of passing the ball continues till one feels guided to release it to the universe. Once the chi ball is released you can start with another healing intention or thank the universe and stop the healing. What are the advantages of the above kind of healing? The chi balls are more powerful, as it has healing energy of more than 1 person. Many people clear their Karmas together. 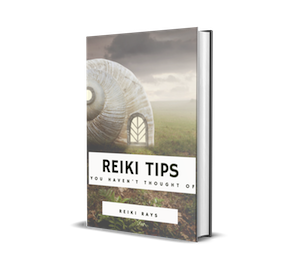 Sensitivity towards the energy increases, as you can feel the reiki ball between your hands when you receive it from another person. This is a fun method! Where many healing practitioners come together for a common goal and help and heal others! I have tried this method in distance, i.e. I was in one part of the country and the other people who participated in this healing were in different states of the country and the healing has worked very well. This technique is very useful when one wants to heal some intense issue. Do try this method and let me know your feedback about the same! How to Make Energy Ball with Reiki?